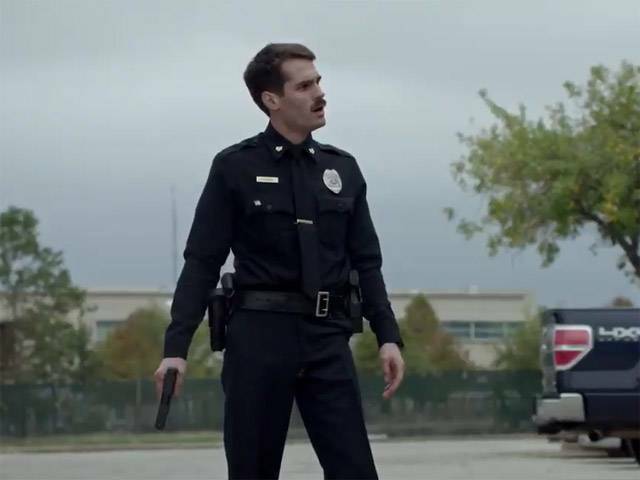 Synopsis: A Multi-talented writer/director/star Jim Cummings gives a jaw-dropping performance filled with bursts of offbeat humor and unexpected pathos as a small-town police officer struggling to process the death of his mother, an impending divorce, and his own unrecognized cluelessness. As Thunder Road opens, we meet Officer Jim Arnaud, preparing to address the mourners at his beloved mother's memorial service. However, his eulogy doesn't go quite as rehearsed. He's continually on the verge of tears, of course, but also keeps making bizarre, confessional digressions, and, worst of all, his 10-year-old daughter's pink boombox won't play his mother's favourite Springsteen song. This scene sets the tone for the narrative that follows a singular blend of cringe-inducing laughs punctuated by moments of profound sentiment.